One of a kind Antique and Estate jewelry from all over the world specializing in fine quality hand crafted goods . We have pieces from every period ranging from Victorian Edwardian Art Deco Art Nouveau Classical and Contemporary. GIA certified Gemologist on site and also GIA diamond, colored stone and pearl graders on site. Also available are Insurance Appraisals and Repairs. 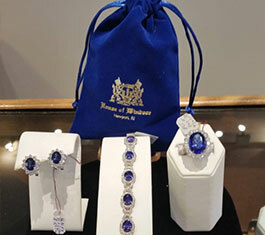 We have one of the most extensive collection of fine estate jewelry in the north east . We have been featured in magazines and have written informative articles for various publications. We are also involved in giving back to the community through local organizations and charities. Looking forward to being your jeweler of choice and bringing new and exciting pieces your collection.